According to the operative statistics, in July-August of 2012 Ukraine exported nearly 54 thsd tonnes of peas (including groats). At the same time, in the same period of 2011 the export volumes totaled over 34 thsd tonnes of the legume and by-products, in 2010 - nearly 42 thsd tonnes. It is noteworthy that the trend is observed on the background of reduction of the forecast of the exports from the level of 142 thsd tonnes in 2011/12 MY to 130 thsd tonnes in the current season. 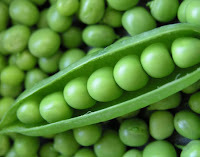 According to estimations of analysts, the ending stocks of peas in 2012/13 MY may total a little more than 40 thsd tonnes. According to the market experts, these volumes may become a reserve for increasing of the export volumes in 2012/13 season. In 2013, the planted areas under the crop can increase by nearly 35%.